I first went to Shanghai on a business trip that lasted about a month; my weekdays were spent in boardrooms and conference calls so weekends I just waited to get out and explore Shanghai. In this short span of time I visited Old Water Towns, Classic Chinese Gardens , Ancients temples from the Ming Dynasty, Colonial Buildings of the French Concession area, narrow alleys of Tianzefang to name a few. 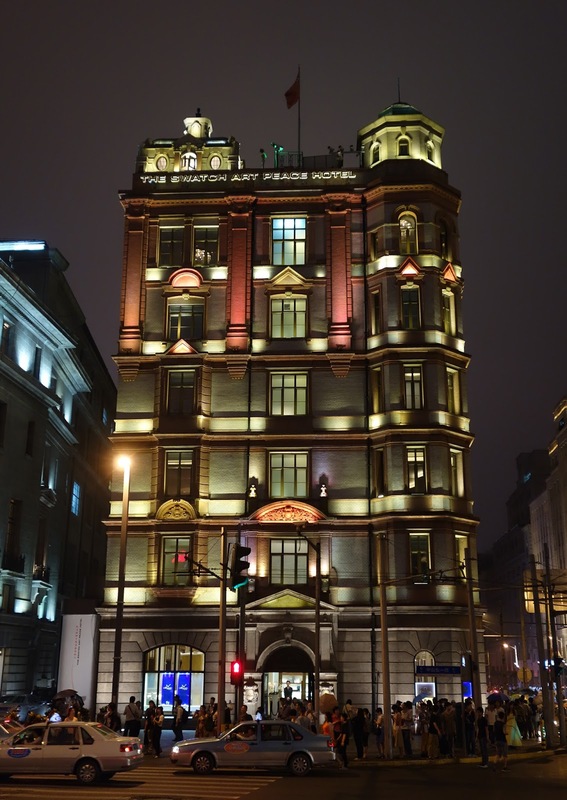 There is soo much to see in Shanghai but if you have just one night in Shanghai head to the Bund ! I reached Shanghai by noon from Bangalore transiting through Hong Kong and the whole trip was about 9 hours. 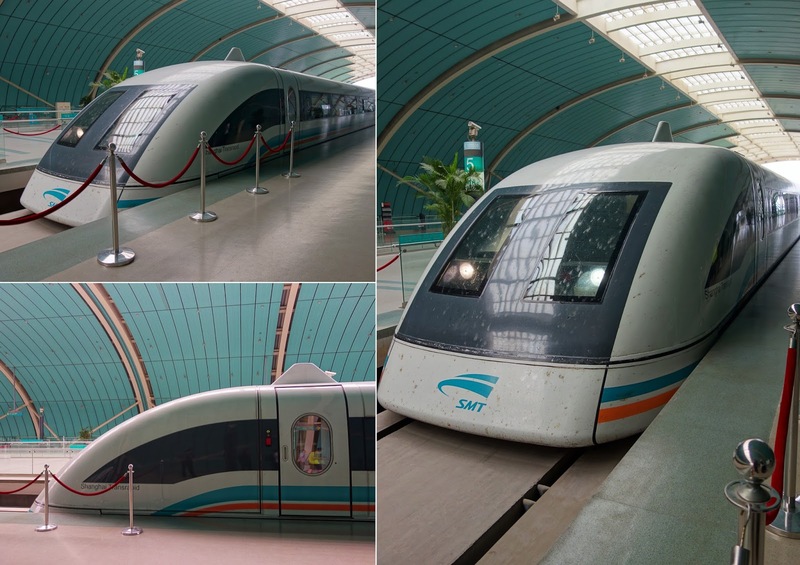 The Shanghai Pudong airport is about 40 KM from the city and the best way to get to to the city is by the Maglev (Magnetic Levitation ) Train. It cost about 50 RMB and you reach the city in about 10 minutes travelling at 350 Km per hour. I highly recommend the Maglev as the traffic in Shanghai can get pretty nasty. If you get caught in the peak hour traffic then it can take you up to 1.5 hours. The Maglev has only 2 stops, you get in at the airport and you get out at Longyang road, from here its just a 15 minute cab ride to Pudong which is the city centre. So I reached Longyang got out and was greeted by a very cheerful taxi diver asking where I wanted to go. I said I was staying at the Marriott and the taxi guy said he can get me there for 150 RNB. Beware of such taxi drivers , the actual cost of my ride was only about 30 to 40 RNB. All you need to do is ignore such guys and walk down to the taxi stand and you will get a fair ride. 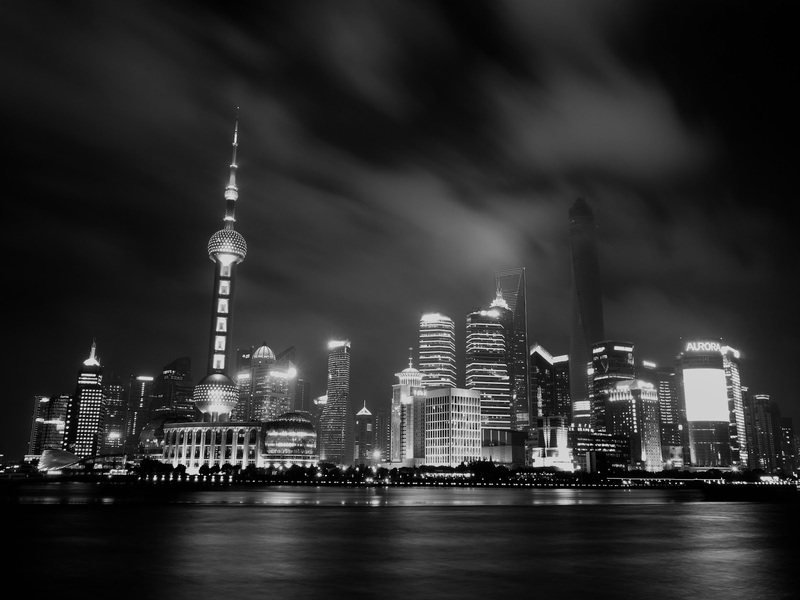 That night I headed to the most popular tourist spot in Shanghai, the Bund. 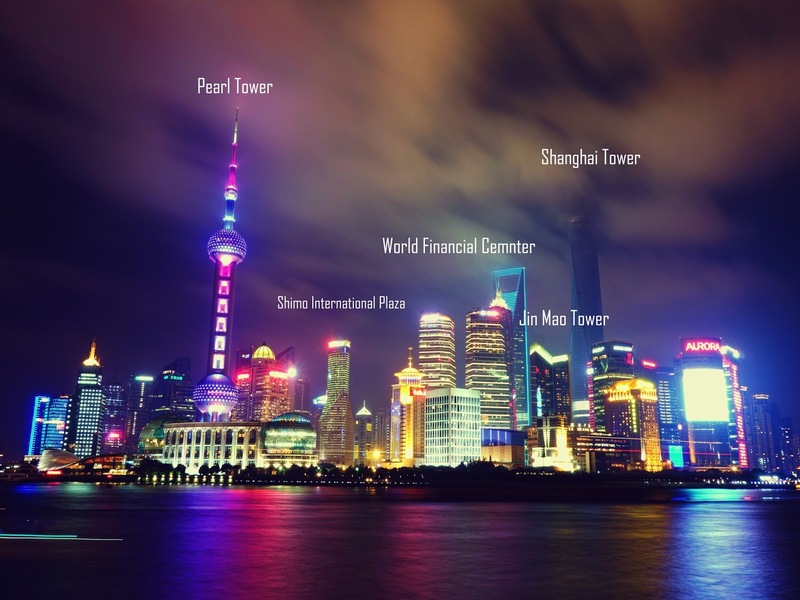 From here you get the postcard view of the Shanghai Skyline.The Shanghai Tower, World Financial Center, Jin Mao Tower and the most iconic Pearl Tower are some of the landmarks of the Shanghai skyline. The best way to get here is to take metro line 2 or line 10 and get out at the East Nanjing Station and walk towards the promenade. 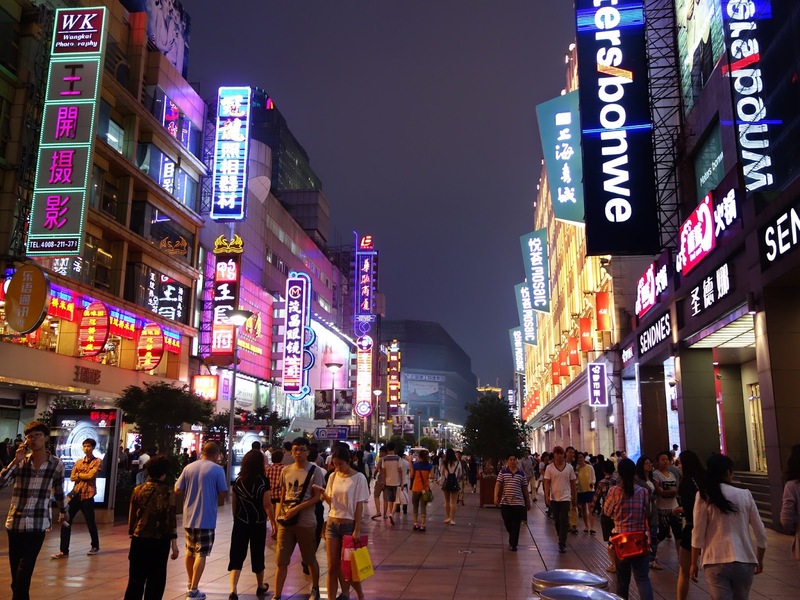 Before heading to the Bund we checked out some of the shops on East Nanjing Road, its one of the most popular commercial shopping districts in Shanghai. 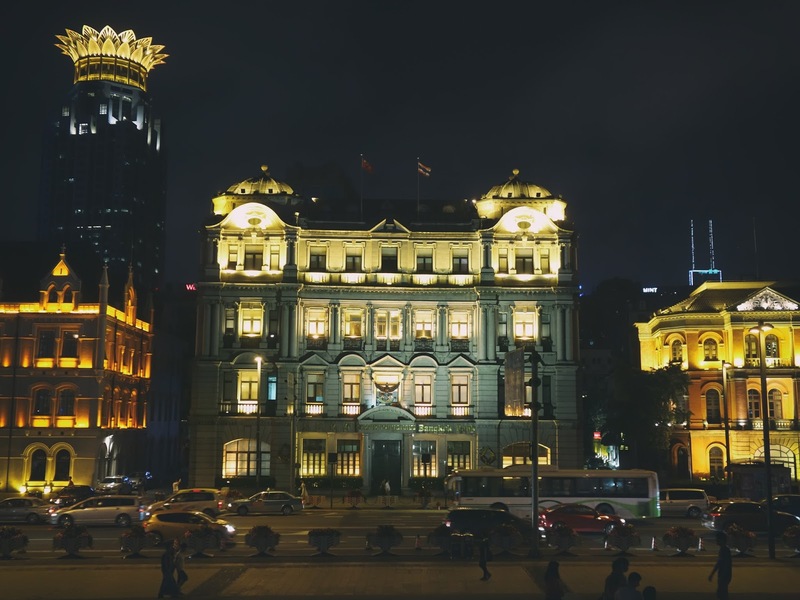 The Bund is an esplanade area along the Huangpu river and offers a panoramic view of the Shanghai Skyline. This spot is a must visit in Shanghai ! its almost like a time machine, one side of the river bank is filled with the old financial buildings of the colonial era and the opposite side of the bank is lined up with tall modern skyscrapers all lit up in neon's. 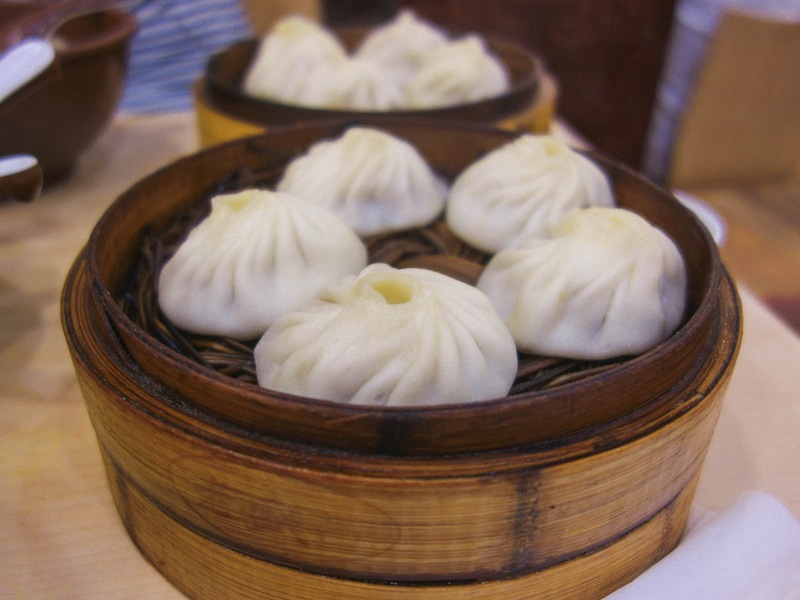 One dish you have to try in Shanghai are the Xiaolongbao dumplings. These steamed soupy dumplings are a delight ! I tried 2 version of Xiaolongbao, the minced pork and the crab roe filled dumplings. One of the most famous dumpling houses in Shanghai is Nanxiang Mantou, its located in Yu garden. I was still hungry after the dumplings and my next stop was at a ramen place. I had 2 kinds one was a braised pork ramen and the other was a little sour chicken broth ramen with a lot of black fungus. Both were great ! and cheap 30 RNB each . The Huangpu river divides the city into Pu Dong (where the skyscrapers are ) and Pu Xi which means 'East River' and 'West River' respectively. 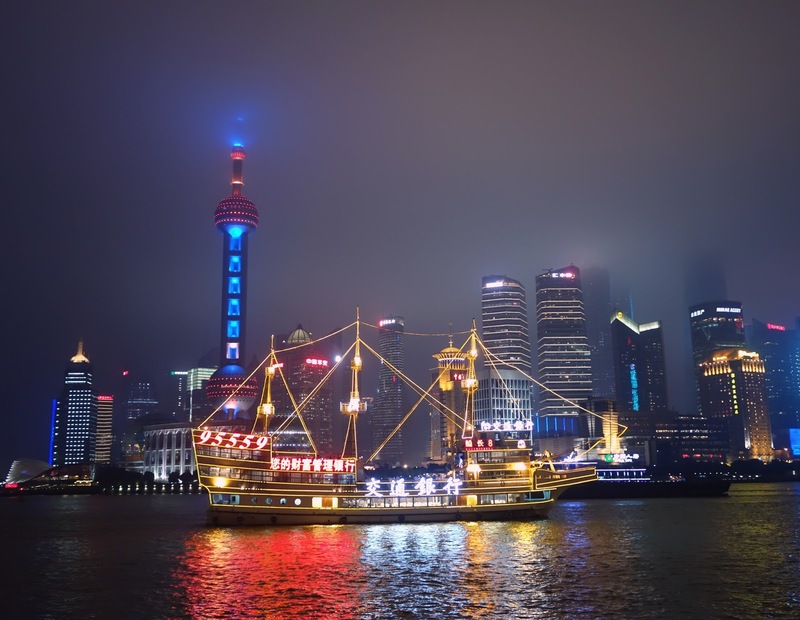 Taking the Huangpu River Cruise is another nice way to see the Bund, this way you get to see both sides of the river bank. A word of caution: If you stay back too late near the Bund, it gets difficult to find a taxi guy who will go by meter and start will demanding crazy fairs. Also a lot of scams happen to tourist in this area so be on your guard. PS: All photos in this post are taken with a SONY RX-100 the best travel camera according to me. Its amazing how much power is packed into this tiny little thing.